I have a Telephone Network Interface Device inside my house. To connect the house's wiring to Hub's Wall port, I need a telephone coupler to connect to the "hanging wire". Am I right? Thanks. Yes - assuming you won't be using a landline in your configuration. The hanging wire SHOULD go to the rest of the jacks in the house. It appears the wiring comes in through this interface and then to the rest of the house. 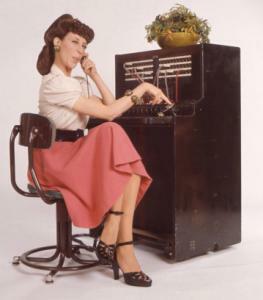 hpepper wrote: Yes - assuming you won't be using a landline in your configuration. The hanging wire SHOULD go to the rest of the jacks in the house. It appears the wiring comes in through this interface and then to the rest of the house. Thanks, but it turns out it's not the hanging wire!?! I need to connect straight to the wall from Hub's Wall or Phone port. Well, by how the faceplate reads, the wall jack would also go to the rest of the house, the same as the hanging wire. The hanging wire is plugged into the jack that would go outside to the phone company wiring. The hanging wire itself probably goes to the jack on this plate, then to the rest of the house wiring. Correct, but to be specific, the little wire with the RJ11 on the end would go to the jacks in the house and the jack that the little wire is plugged into would go to the phone company and outside wiring. and I thought "hanging wire" is from the telco, and the wall plate's entry to rest of the house.